Alfred H. Bloom’s vision for Swarthmore is anchored in the College’s core values—rigorous academics and social responsibility. His success in articulating and advancing those values has been unprecedented in the College’s history. The most transformative presidencies in higher education have belonged to those whose tenure lasts far beyond the current eight-and-a-half–year average for college and university chief executives. Think of presidents such as Charles Eliot, who led Harvard from 1869 to 1909, building it into a modern university. Or Robert Maynard Hutchins, who served as president and chancellor of the University of Chicago from 1929 until 1951, introducing controversial reforms while making Chicago a great center of liberal learning. To understand some of the reasons for his success, one needs to look back much farther than 1991, when Bloom returned from Pitzer to assume Swarthmore’s presidency. It helps to understand that Swarthmore College grew out of an American civil war of sorts. Not the War Between the States but rather an ideological and cultural divide among the Quakers. The Great Separation of 1827, in the most simple terms, was a controversy between liberal and conservative Quakers—although the reality was far more complex. The conservative Orthodox branch of the Society of Friends consisted of founders of Swarthmore’s neighbor to the west, Haverford College. They represented the urban Quakers, the elders, the more educated and wealthy, and those wishing to impose a doctrinal authority. 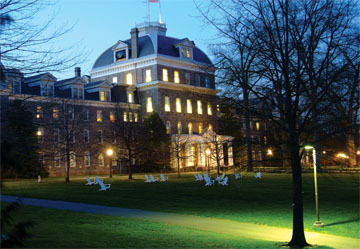 The liberal branch, the Hicksites, was responsible for founding Swarthmore. They were, as a group, anti-authoritarian—an irregular collection of younger, less urbane Quakers. This legacy should come as no surprise to most Swarthmoreans; we remain an irregular bunch that loves to debate and challenge authority every chance we get. 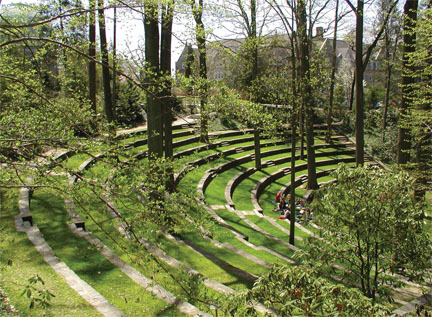 It also should come as no surprise, then, that since its origins, Swarthmore’s history has been full of debate, challenge, and spirited disagreement. Swarthmore’s first president, Edward Parrish, was removed from office in 1871 as a result of a Board split over the issue of how progressive the College ought to be. It is remarkable how many of Swarthmore’s subsequent presidents have wrestled with similar issues. Frank Aydelotte, who, it’s often said, was the College’s pivotal president, was aggressively attacked by many alumni throughout his 19-year presidency, yet he prevailed to manifest his vision in a multitude of ways. In his 2008 Commencement address, President Bloom points to two core traditions of the College that echo Aydelotte’s vision and are fundamentally responsible for Swarthmore’s unmatched educational legacy: the Honors Program and the Quaker tradition. But Al Bloom’s inclusion of the Honors Program on his short list of Swarthmore’s core traditions may be more unexpected. Although those who have remained very close to the College during his tenure will understand the central position honors held in his agenda, Al Bloom is likely to be remembered more for promoting diversity, multiculturalism, ethical intelligence, and social responsibility—and, by some, for ending 122 years of football—than as the president who saved and revived the intellectual principles and academic experience of honors. Yet focusing on Swarthmore’s Quaker values and the Honors Program is fundamental in understanding the vigor of the Bloom presidency. Seventy-five years ago, when President Aydelotte introduced the idea of honors to members of the faculty in private conversations in their homes along Whittier Place, he believed that this program alone might transform the nature of intellectual life at the College. Aydelotte’s ideal of honors was based upon the wisdom of allowing individuals freedom of choice—specifically, the choice to excel. He had a clear and accurate view of society outside the College walls; he understood there was a need—and tremendous demand—for the vision he brought. As a member of the first Rhodes Scholar class, Aydelotte came to Swarthmore with the mission of creating an Oxford-style Honors Program in America. He chose Swarthmore in large part because of its Quaker heritage, believing that it would be an amenable and welcoming place to implement his ideas. Aydelotte and the faculty became true partners in this mission. He not only embraced the idea of change, he was an agent of change for Swarthmore. Along with the Honors Program came the outlawing of hazing, the abolition of sororities, and the removal of big-time football schools such as the University of Pennsylvania and Princeton from Swarthmore’s schedule. Complaints flowed from alumni about “new” admissions policies that refused to take into account the “broader qualities of manhood.” The chair of the Board of Managers, Charles Jenkins, reported he had received a complaint that half of the boys in the freshman class wore glasses! In 1928, Aydelotte wrote to Jenkins that the real issue was whether the Board would allow him to pursue his vision for the College. He recognized that Swarthmore might choose a more conventional type of education in which intellectual values were not as strongly emphasized. If that was the decision of the Board, Aydelotte offered his resignation. He left for Egypt for several months while a small group of Managers deliberated his fate. Among other issues, there was the question of whether the College would continue a tradition of powerhouse football that had reigned since the late 19th century—or would it fully embrace the Honors Program that Aydelotte had introduced? Ultimately, the Board voted to support Aydelotte, and he remained president for another 12 years with a faculty and student body that had been transformed. Swarthmore did indeed turn out to be a good place to test his ideals, although a welcoming environment clearly took a bit longer to establish. Al Bloom, like Aydelotte, came to the College with a mission. By 1996, he had transformed the student body so that it represented the full range of diversity in America and across the world. Like Aydelotte, he faced concerns from those who were convinced that the ways of the past were working just fine. The job of president is an almost impossible one; there is far too little time to do everything you want to do, and there are far too many constituents to keep happy. In fact, the longer one holds such a job, the more time one has to make enemies. The only way to cope is to love what you do, day after day, year after year. Amazingly, even after 18 years, Al Bloom clearly still loves what he does. One manager jokes that Al has even persuaded the faculty that a president can serve a useful purpose. The Blooms’ passionate engagement is most exuberantly displayed around the dinner table. Craig Williamson, the Swarthmore chair and professor of English Literature, uses the Yiddish word haimisch to describe the experience of breaking bread with the Blooms—informal, familiar, and having the characteristics of a happy home. Having sat in a university president’s chair for almost four years, I can’t begin to tell you how important it is to display conviviality and joy in one’s position. Although Al and I often agreed about fundamental decisions facing the College, we did not see eye-to-eye on every issue. I recall in particular one conversation early in my work at the College. “Larry,” Al said in his quiet and understated way, “It would be great if you could find ways to say ‘yes’ a whole lot more than you say ‘no.’” I keep that lesson in mind—although I suspect I continue to say ‘no’ far more than he had in mind. Board Chair Barbara Mather ’65 writes as way of explanation: “It is constantly amazing the way Al insists on emphasizing the positive. He just cannot bear to be anything other than relentlessly positive.” To my mind, that’s a gift. Of course, the timing of Bloom’s presidency has not hurt his ability to answer affirmatively. Saying yes to plenty of great ideas has been possible at Swarthmore for the last 18 years in part because of the economic prosperity of the time. 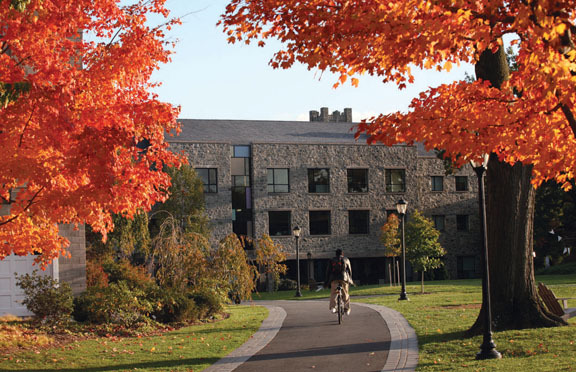 Yet, there is also no question that Al’s ability to keep Swarthmore prosperous through year after year of record admissions and infrastructure improvement can be attributed to his equally remarkable gift for fundraising. In fact, it is almost impossible to imagine the last two decades at Swarthmore without the Blooms. Their influence has been that profound. 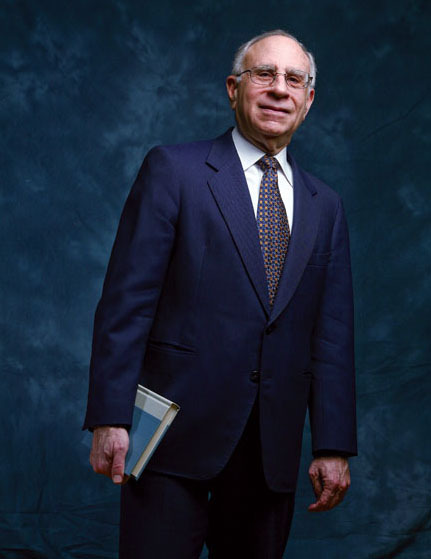 In 2002, while writing my doctoral dissertation, I interviewed several managers who had served on the committee that brought Al Bloom back to Swarthmore from the job of vice president at Pitzer College, where he had served for five years. I asked them whether they understood what they were getting when they chose Al. For example, had diversity and multiculturalism come up in his interviews? Did they appreciate the fact that he would arrive at Swarthmore with an agenda for real change? To a person, none had truly anticipated what Al Bloom had in mind for Swarthmore. Of course, they recalled that every candidate talked about the importance of diversity in higher education, among students and faculty alike. But did these managers actually believe that Al Bloom meant what he said when he talked about changing the face of Swarthmore? Did they imagine a Chinese dragon prancing across the stage at his inauguration? Did they see what was coming? No, no, and no. Al reflected on his first few years as president during my hours-long interview with him seven years ago. Of course, he meant what he said during his interviews; he arrived in the summer of 1991 deeply committed to an agenda of change. And, like Aydelotte, he “chose” Swarthmore because he knew it had the Quaker capacity for institutional self-reflection and change. Al had a vision for the College that was different than the Swarthmore of my generation and eras before. Central to that vision was altering the makeup of the student population. 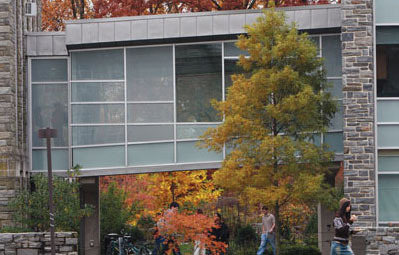 Since the late 1960s, the College had been committed to diversifying its student body and its faculty but had achieved only modest success in meeting those goals. After a few years in office, seeing the status quo continue despite his exhortations, Al decided to change most of our traditional practices in the Admissions Office. In fall 1996, after he brought in a new dean of admissions who changed the face of the admissions staff, the number of African-American and Latino students in the entering Class of 2000 jumped from 26 to 94—an astonishing 400 percent increase. This revolutionary shift in admissions was wrenching and difficult. Internally, it required a change in leadership and the loss of a beloved employee. In the community, the Class of 2000 drew a huge amount of attention, some of it frankly negative. Even before these students arrived, members of the faculty branded the class a problem. 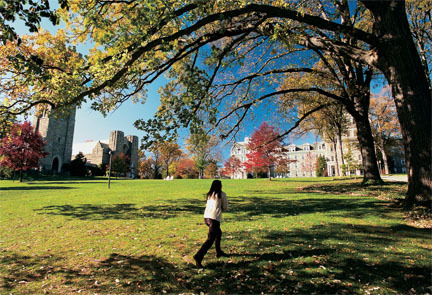 As it turned out, however, the class did quite well at Swarthmore, graduating more than 92 percent of matriculants within five years—slightly greater than the average graduation rate for the previous 10 classes, which was 90.9 percent. But this was just the beginning of a new student demographic for Swarthmore; today, the proportion of students of color in an average entering class has grown from around 15 percent to nearly 40 percent. At times, Al Bloom has been criticized for not confronting hard issues, but in this instance one can see his true mettle. Like Aydelotte, he is one of the most persistent people I know, with a stubborn streak that comes from a deep commitment to his ideals. When he feels passionately about something, one should never bet against him. In pushing for a community characterized by inclusion, Al not only led a controversial change in admissions policy, but his presidency survived it. It’s impossible to mention Al’s long tenure at Swarthmore without raising the issue of football. In some ways it is unimaginable that Al Bloom’s presidency might be defined, even in part, by athletics. By his own admission, Al’s love of sport came to him late in life. Yet, the decision to end more than a century of football at the College was historic and, in my opinion, would have felled most presidents. Why, then, did it not take Al down? In my view, the answer lies in his staking out a position based on clearly-defined and articulated principles. Were these issues about which people could differ? Absolutely. But, even when opponents of the decision got caustic and personal, Al Bloom stuck with his ideas and ideals. He believed very strongly that, at a college the size of Swarthmore, it was not appropriate to recruit and maintain a team of 60 to 80 male students to play football. I don’t say this to stir up old emotions. I was an athlete at the College, and most of my friends were athletes—many of them on the football team. There wasn’t one of them who didn’t “belong” at Swarthmore. There are, however, thousands of students each year who could fit in at the College, yet each class has just 375 places—and just 180 men. The question became not whether an individual applicant might belong, but how should Swarthmore best select the small group that would matriculate? The group that was most vocal—and sought to bring an end to Bloom’s presidency over this issue—argued that the decision to end football indicated that Swarthmore had arrived at a new mission and vision for the College community. “A real college has a football team,” one partisan wrote. I would argue that it was precisely this image (which President Courtney Smith once referred to as a movie image of collegiate life) that President Bloom was fighting. The Swarthmore that presidents Aydelotte, Smith, and Bloom wanted to mold was as far from this image as imaginable. In some ways, the opponents of the football decision were exactly right. The Swarthmore of 2000 was a different place from the one it had been 10 years before—and certainly 50 or 100 years before. Al Bloom was intent on making it different, and for this he paid a tremendous personal toll. Larry Shane, chair of the Board of Managers, who stood beside Al through the entire episode, has shared that he was personally devastated by the attacks by alumni and was always amazed that Al remained eager and open to reconciliation throughout the controversy. Yet, as time has passed, despite the degree of turmoil it created, the wisdom of the decision is clear. This was a defining moment for the College—a moment when the president took an unpopular stance while making clear the primacy of Swarthmore’s intellectual mission. Some continue to take issue with this emphasis, but I believe what makes Swarthmore so distinctive is its being unafraid to own this brand in American higher education—and indeed to revel in it. And for nearly 18 years, Al Bloom has been the team captain for the ideal of intellectual mission. Al has also shown himself to be a superb administrator. When he met resistance to his multicultural agenda, he instead moved to reconceive and restore Aydelotte’s Honors Program, which was in danger of fading away as the centerpiece of a Swarthmore education. By the early 1990s, the Honors Program was attracting just a small fraction of the student body. Al did not want this signature program to wither away, and he worked with Jennie Keith and a faculty committee chaired by Craig Williamson to revive honors. While preserving the essential elements of the program—acceptance into honors by the faculty, independent study in both a major and minor subject during the junior and senior year, and rigorous written and oral examination by leading outside scholars in the field—the faculty recognized that their best students needed more flexibility and choice within honors. Some students desired to spend all or part of their junior year abroad. Other students wanted to be able to prepare for honors with performances, exhibits, and field work instead of the traditional theses and papers. Al worked quietly behind the scenes to help shape a proposal for “new honors” that would pass muster with the faculty. Implemented in 1997, today’s Honors Program includes all departments and disciplines at the College and once again attracts more than a third of the student body. With this success behind him, Al was able to return to more difficult parts of his agenda and find increasing success there. The entrance of the Class of 2000 was the signal moment for changing the complexion of the student body, but Al also kept on with the slower, more challenging task of diversifying the faculty and staff. In anticipation of a significant number of faculty retirements in the decade ahead, he and Keith worked with departments to open up some of those tenured positions sooner, then encouraged the hiring of women and minorities who were just starting their academic careers. The Mellon-Mays fellowship program and other new foundation-funded positions also helped diversify the faculty—and the curriculum. Al was behind the introduction of Chinese and Japanese language study, and later—well before it became essential—Arabic. Soon after Al became president, he outlined for the Board the qualities that he believed made the College unique. He began with “maintaining the highest academic standard and sustaining a faculty that combines dedication to teaching with dedication to intellectual and artistic advance.” Also on his short list was “building a connection between intellectual skills and the responsibility to use them to shape a more just and humane world.” If one tried to summarize Al Bloom’s vision in just a few words, you would be hard-pressed to do better than he did at the start of his presidency. And therein lies the answer to the question: How did Al Bloom manage to survive—and thrive—for 18 years? He came to Swarthmore with a clear vision and never wavered. 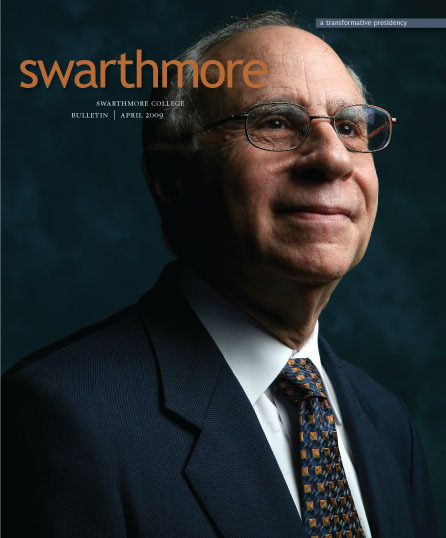 He not only articulated more clearly than anyone had before a vision of what Swarthmore could be, but he lived it in every relationship with faculty, students, staff, alumni, and friends. Swarthmore graduates persist in imagining a world that will offer security, nutrition, health care, education, respect, personal freedoms, political participation, and opportunity to everyone. They persist in applying their exacting and creative habits of mind not only to their professional success, but also to better understand how that more ideal world can be built. They persist in judging leadership, policy, and action in light of the most comprehensive understanding they can assemble and in terms of how that leadership, policy, and action will not only affect their own communities and nations, but impede or hasten the realization of that better world. And across whatever careers they pursue, Swarthmore graduates persist in striving to align the manner and purposes of their own lives with contributing to the knowledge, the beauty, the health, the productivity, the justice, the inclusion, the environmental responsibility, and the resolution of conflict that will create that more humane world. This is Al’s vision for the college—and it has been since day one. At times, he had to slow down and let others catch up. At certain moments, he had to steel himself for the criticism and just take it. Al is an optimist to his core, and he always believed that a well-reasoned argument would, in the end, win out. He is a wonderful friend to many, and those friends—on the faculty and on the board—often came forward and stood at his side when times were tough. Finally, it matters that Al’s vision was the right one for Swarthmore in 1990 and, I believe, remains the right one today. Al Bloom has been an extraordinary leader of an extraordinary institution. Both he and we have been very fortunate indeed. Lawrence Schall has been president of Oglethorpe University in Atlanta since 2005. He graduated from Swarthmore with honors, majoring in history. After earning a J.D. 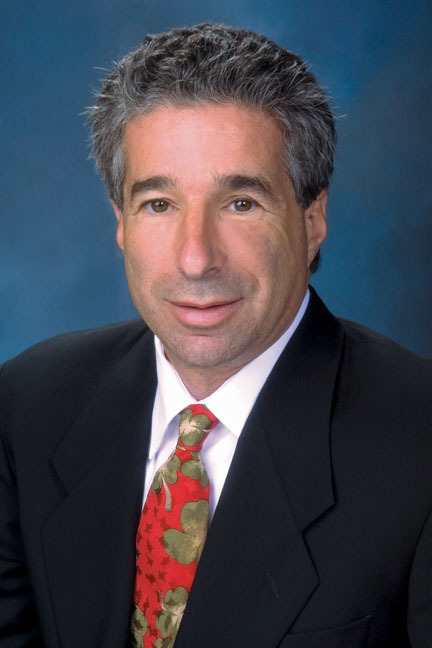 degree from the University of Pennsylvania Law School in 1978, Schall practiced as a trial attorney, specializing in civil rights litigation with a focus on children’s rights and public assistance issues. In 1990, he returned to Swarthmore and served in management for 15 years, leaving as vice president for administration. He was awarded a Ph.D. in higher education administration from the University of Pennsylvania in 2003. Regarding the Bulletin's cover story on President Bloom tenure, Mr. Schall's hagiography attempts to enshrine the outgoing President among the pantheon of past Swarthmore leaders, comparing Mr. Bloom’s vision and accomplishments with those of his storied predecessors. Midway through this gushing tribute, however, the author pauses to give passing notice to the seminal moment of the Bloom era: the elimination of the football program. The topic is treated as a mere sidebar, its mention intended as proof of the author’s ‘fair and balanced’ perspective. However, any candid and thoughtful discussion of Mr. Bloom’s character requires more than an obligatory acknowledgement of that controversial topic. After all, if we agree that true character is best defined by one’s actions in the most difficult of times, then a cursory review of Mr. Bloom’s tactics during this infamous and highly divisive episode reveal not wisdom and conciliation, but rather arrogance, cynicism and an apparent predilection for petty tyranny. In his attempt to justify President Bloom’s motives and decisions, the author conveniently omits some of the most salient aspects of the controversy: the President’s refusal to recognize the strong support for the football program among both students and alumni; his misrepresentation (echoed by the author) that a viable football program required 60-80 players, when in fact many peer schools thrive with as few as 45-50, most of whom are multi-sport athletes; and most blatantly, the surreptitious and hastily called Board meeting in New York City, a maneuver that intentionally circumvented time-honored, democratic protocols and effectively excluded the President’s most articulate and powerful opponents from the critical moment of the debate – and from their casting of a final vote. Far from echoing the spirit of an Aydelotte or a Swain, these manipulative and divisive actions by Mr. Bloom instead evoke comparisons with a far less admired ex-President named Bush. In the end, all of Mr. Schall’s reverent revisonism cannot alter one inescapable fact: that despite a lifetime of academic and administrative accomplishment, it is the unwarranted and unseemly elimination of the football program that will define Aflred Bloom’s legacy. How ironic – and appropriate.